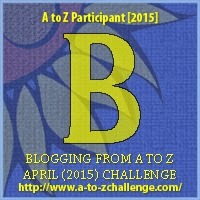 Blogging seems an appropriate word for an A-Z Blogging Challenge. Why is this post called “Blogging! Bananas! ?” Because I’m sitting here at 5:20 AM badly wanting a banana. I can’t explain it, besides to say when I played around unsuccessfully with Canva this morning, a monkey mysteriously appeared in the “charge” box. I scraped that, because I didn’t want to pay $1 for a monkey who didn’t exist in my image. But ever since, I have wanted bananas. And guess what? No bananas. In my house, bananas either fester and grow black or they’re gone within a day. Sort of like blog posts. You either get a lot of hits or none at all, depending on so many factors: topic, tags, categories, advertising, marketing or just dumb luck. I started seriously blogging about four years ago. When I say serious, I mean I tried to blog a couple of times a week. I’ve never made, or really tried to make money, on my blog. I blogged over at http://www.lululandadventures.blogspot.com/, which I’m sad to say I haven’t been updating recently. I need to, because I’ve changed that to my personal blog, and this is my writing blog. I came to blogging after years of ignoring an urge to write. I came to blogging to deal with the loss of my hair to alopecia areata. I’d had it as a child, but after I stopped breastfeeding my daughter I lost all my hair. At first, my blog was used as a cathartic release. I feel like blogging gave me the stepping stone to start writing again. Once I started writing again, I had the motivation to start querying. When that didn’t work, I self-published. Now, one of my books is in editing with Booktrope, and I hope it’ll be published in May. All of this, because I had the courage to put myself out there and blog. Thanks Cheryl. It’s been quite the journey. But I’m loving the road. Lauren, I love the banana analagy – hopefully it will help me with those falling flat on their face blog posts. I hope to love my road – my new road – as much as you are loving yours. Debs–thanks! I’m sure you will! I’ve been reading your blog for about 4-6 weeks. I found you through someone else and I can’t even remember who. I’ve been blogging off and on for 4 or 5 years as well. Sometimes it goes well and others not so much! Through you, I too, found this A to Z Challenge and am really hoping to complete it! Michele, thank you for following my blog! I’m so glad you found the A to Z Challenge. This is my first year finding it. K L Phelps, over at 10 Minute Novelists, told me about it. I’ve just subscribed to your blog too! You’re great! Keep going! Blogging is amazing to vent and feel better! Many times I’ve used my pages for the same reason! Thanks Franny! I’m loving A to Z. It’s been inspiring thus far. I have one banana left which you would be welcome to if only I could find a way to tap it into the ether and onto your keyboard (preferably still in its skin). Blogging. Ah, yes, my blog is a patchwork of posts and silences, but when I’m posting regularly, I have to say I’m a happier person, and my fiction writing tends to progress much more smoothly. The one feeds the other, at least for me. I enjoyed your post and I’m clicking that enticing little “follow” button so I can read more from you. Happy A-to-Z-ing! Thanks Kern! I agree. Blogging helps fiction writing, infinitely. And I’m sitting here dreaming of that banana you possess! Thanks for following. I’m still not serious about blogging, lol. Still don’t feel like I know what I’m doing. But after reading your post I can’t get bananas out of my head! Well not bananas but the minions from Despicable Me yelling BANANA!! I love that minion! And it sort of goes with your “bad guy” post, although minions are too cute to be really bad! And you’re doing a great job. It is similar to writing a journal. I am loving A to Z because I’m reading so many blogs I wouldn’t know about otherwise!